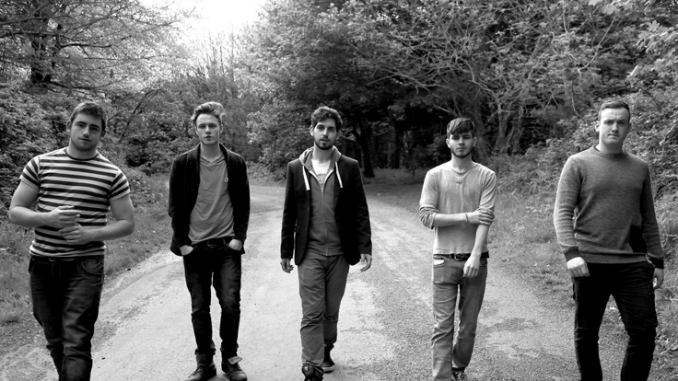 Fast-rising Irish indie-rockers 5 Dollar Shakes have released their new single Auxiliary Love. The song is lifted from their recently released second EP Come & See Enough To Stay & showcases shimmering guitar lines, brooding vocals & powerful stadium rock dynamics.Formed in late 2012 & named after a Pulp Fiction reference, the band share Tarantino’s knack for combining familiar influences with a unique, idiosyncratic spin. Their songwriting draws on a range of indie & rock staples to craft anthemic music that joins the dots between dramatic pop, reverb-laden soundscapes & soaring alternative rock. Like many youthful rock n’roll gangs, the boys’s shared small-town up bringing in Gorey, Co.Wexford has created a tight-knit unity & focus on bringing their music to the widest audience possible. This commitment to the cause, energy & exuberance can be seen at their thrilling live shows, which have seen them support The Riptide Movement, Hudson Taylor & Seasick Steve & deliver stellar performances at celebrated Dublin venues Whelan’s & The Workman’s Club. The band also made new fans after playing the Sea Sessions & Rose Of Tralee festivals & being crowned winners of three Unsigned Music competitions in 2015. Following a sold out EP launch gig at Dublin’s Opium Rooms, the band are playing festivals & headline shows in support of the new single & EP this summer.